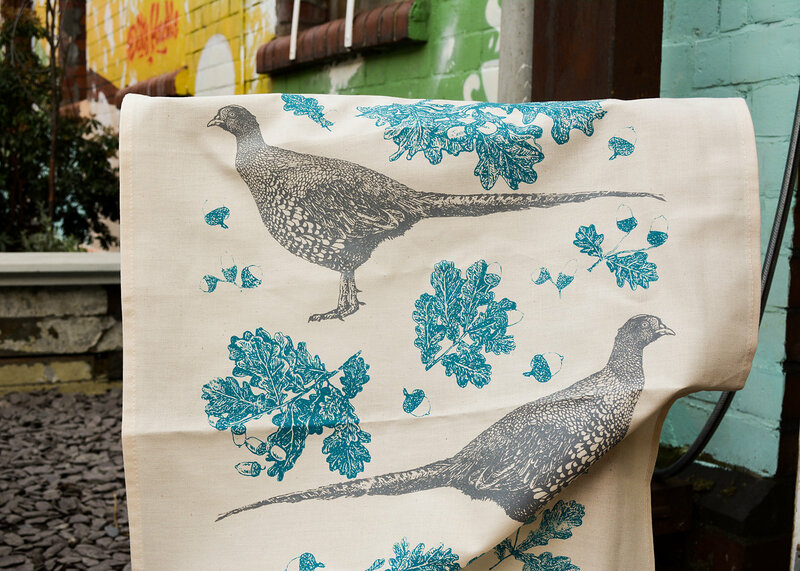 Pheasant and acorn tea towel in Teal is a silk screen printed design from a hand-drawn illustration by Cardiff based artist – Anna Palamar. 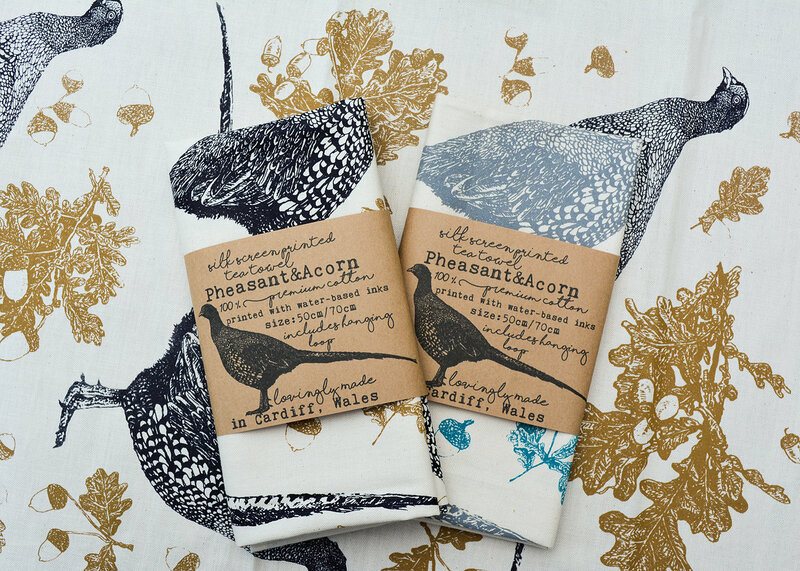 Printed onto luxury 100% cotton. 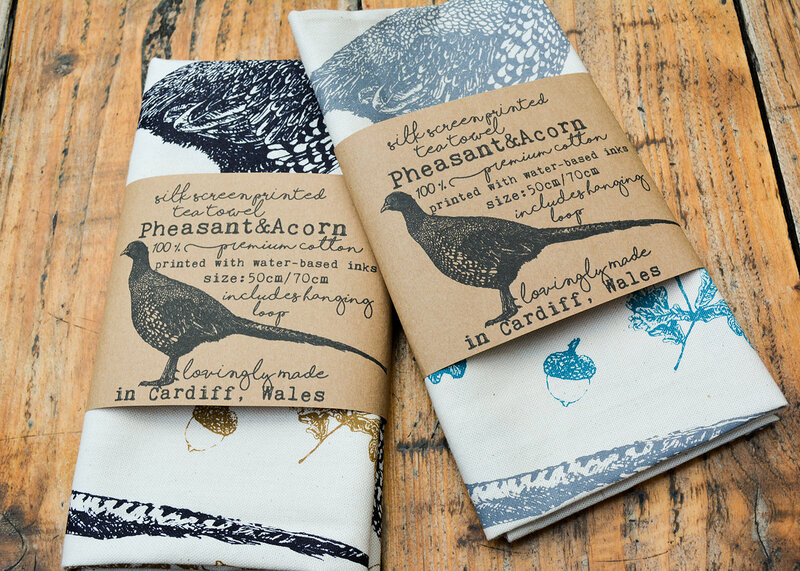 Anna, is designer and print maker, based in Cardiff , South Wales. We first came across her work on social media. We fell in love with the crisp, freshness to her work. Graduating from Cardiff Metropolitan University in 2015 and then setting up her own business her drive and enthusiasm is as sharp as her art work.